Post Malone is the new face of rap and widely seen as a true phenomenon. After relocating from New York to LA, Austin Post began showing off his skills by posting his tracks online and achieving a million views within a month of uploading ‘White Iverson’. Quickly snatched up by Republic Records, his debut album ‘Stoney’ became a best seller in 2016 and his success has continued with new album ‘Beerbongs & Bentleys’ released earlier this year. Post Malone now announces two major gigs for 2019 taking place at Manchester Arena and The O2 Arena in London. 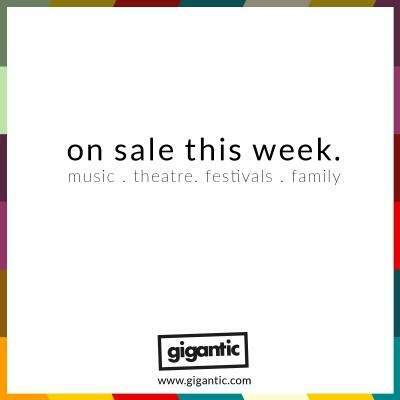 Tickets are released this week, so set your personal reminder with Gigantic right now! Post Malone tickets are available at 09:00 on Friday 12/10. The rise of Ed Sheeran is truly unstoppable! The songwriter from Halifax has grown from singing in a local church choir to become one of the biggest names in British pop of all time, with his album ‘÷’ becoming the latest release to top the charts and is now certified 10x Platinum in the UK. Having almost sold out his entire tour, Ed Sheeran now adds another date at Chantry Park in Ipswich to go on sale Friday. Ed Sheeran tickets are available at 10:00 on Friday 12/10. Get all the family together to enjoy The Wonderful World Of Disney On Ice. Uniting all your best loved Disney characters to recreate your very favourite scenes from the movies, The Wonderful World Of Disney On Ice is a dazzling display of skating skill and magic. The Wonderful World Of Disney On Ice tickets are available at 09:00 on Friday 12/10. Few can claim to be more important to the development of contemporary popular music than Giorgio Moroder. The Italian songwriter is credited with being the formative DJ of Italo Disco and the subsequent explosion of dance music. Catch him play massive sets at Eventim Apollo in London and O2 Apollo Manchester during April 2019. Giorgio Moroder tickets are available at 09:00 on Friday 12/10. Band of Skulls are back! The New York based blue rock outfit have been relatively quiet in recent years, with their last major release being the ‘By Default’ album in 2016. They have now announced a handful of major UK gigs to the utter delight of their fans. Band of Skulls tickets are currently available. As you know, Gigantic always has the very best tickets on offer with more being added every day. The excitement is high, so you will need to be ready for their release or you could miss out! Make sure you set a personal reminder which will alert you with a text message or email just before tickets for your favourite act are released. Metallica are the ultimate name in metal. Formed right at the start of the 80’s, they have pioneered thrash and hard rock to become one of the most influential bands of all time and sold 66 million albums in the US alone. They commence their WorldWired Tour 2019 next year. Metallica tickets are currently available. Never forget the biggest boyband of all time – Take That! Howard Donald, Gary Barlow and Mark Owen continue on the path they started in the 90’s, performing all their classic singles plus all their recent incredible songs on the Greatest Hits Live 2019 tour. Take That tickets are currently available. Gigantic is famed for both our huge selection of the hottest gig tickets plus our excellent customer service to help you make your selection. Our passion for music is revealed in your great experience, making Gigantic the first choice whenever you are booking for your big night out.